Loving your job can become your nightmare, literally..
Been exceptionally busy with work lately. If I could pay someone to help me with my job, I would, but I’m not sure anyone’s willing to do it even if I did pay him/her. I refuse to search on Google nor Yahoo! nor MSN…I refuse to use a search engine (ok…maybe for a week!) Yes – I will be on STRIKE! Let’s see how long that’ll last…. Okay, enough whinging about my passion and lack of hate for my job. 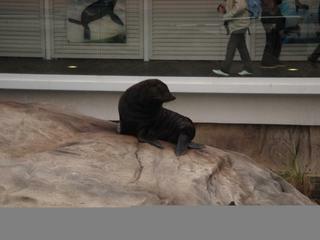 Caught up with friends last Sat night at typical hangout, followed by a relaxing day at the Sydney Aquarium. It hasn’t changed much since I last went, which was maybe less than a year ago…hahaha. Not sure why the regular visits – I think I might’ve fallen in love with that Seal there. But I had fun…and now looking forward to the coming weekend.